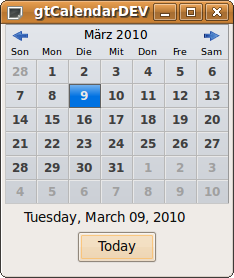 gtCalendar is a custom canvas based calendar control for the Xojo (previously REALbasic) language. 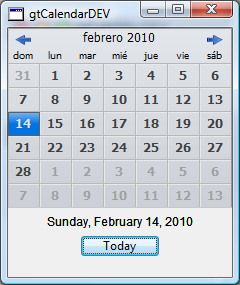 It works on all platforms (Windows, Linux and Mac) and can be easily localized to any language. If you find the control useful please consider making a donation. 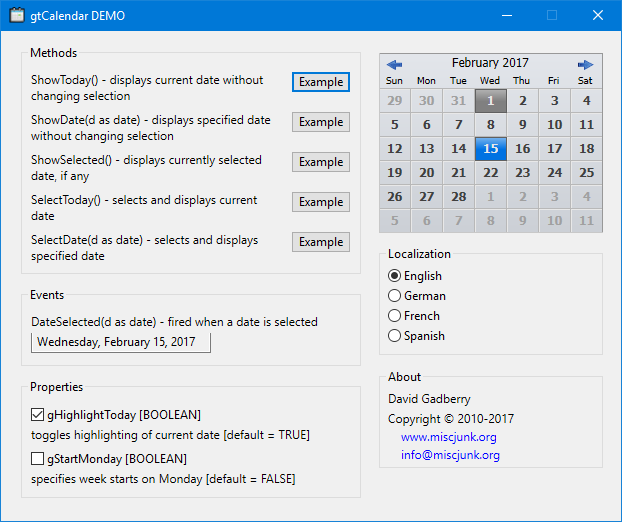 gtCalendar Xojo control and example project. 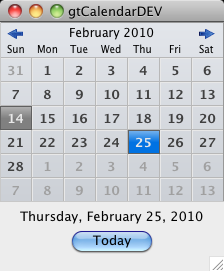 gtCalendar old Realbasic control and example project (no source). Instructions of use are included in the README.txt file within the zip archive. The source code is provided as-is with no warranty of any kind. If you have questions or improvements you would like to share please use the contact email shown at the top of the page.